The House and Senate have approved the massive tax reform bill, with Congress on the verge of sending it to President Trump’s desk. The bill passed on a 227-203 vote in the House and a 51-48 vote in the Senate. If all goes as planned, Trump is expected to sign the bill, formally known as the Tax Cuts and Jobs Act, before Christmas. In the meantime, here are the key takeaways of the tax bill. Do corporations get a big tax cut? Yes. The new bill lowers the corporate tax rate from 35 to 21 percent. The bill keeps the seven tax brackets while reducing the rates for five of them. The new rates start at 10 percent and rise to 12, 22, 24, 32, 35 and 37 percent. The highest rate — 37 percent — applies to individuals whose income exceeds $500,000. For joint filers, the threshold is $600,000. This rate is being lowered from 39.6 percent. Will I still be penalized if I don’t have health insurance? No. Starting in 2019, the new legislation eliminates the Affordable Care Act’s individual mandate. What about the alternative minimum tax rate (AMT) ? 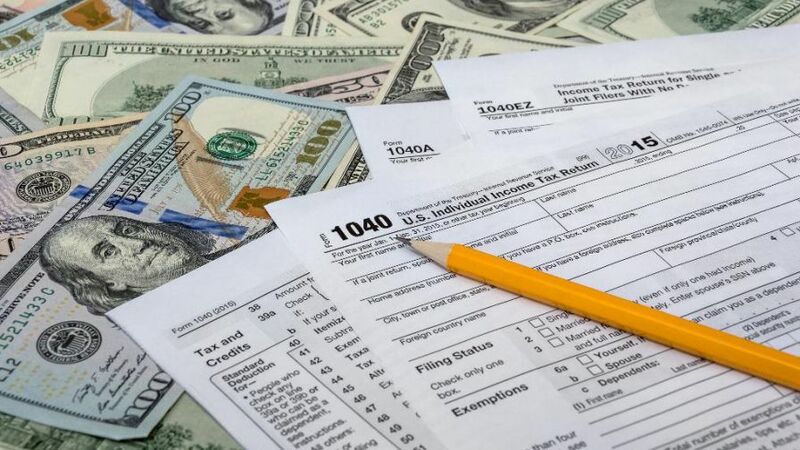 The alternative minimum tax rate is essentially a secondary tax on the wealthy; put in place to offset the benefits a person with a high income could receive. The new bill eliminated the AMT for corporations, but keeps it for individuals. It raises the exemption to $500,000 for single taxpayers and $1 million for couples. Under the new bill, taxpayers can claim $2,000 credit for each qualifying child under the age of 17. The tax credit applies to single filers and married couples, and is fully refundable up to $1,400. And what about estate taxes? The new bill keeps the estate tax at 40 percent but doubles the exemption levels — which are currently at $5.49 million for individuals and $10.98 million for married couples. What about my state and local tax deductions, or SALT? Under the finalized bill, families can deduct up to a total of $10,000 in local property and state and local income taxes. What if I want to buy a new home? For new homebuyers, the mortgage-interest rate deduction will be available for mortgages up to $750,000. That’s down from $1 million. Pass-through businesses are typically sole proprietorships, joint ventures, limited liability companies and S corporations. They are not taxed as corporations. Instead, the profits from these business are counted in the owners’ personal tax returns. The finalized bill gives businesses a 20 percent deduction for the first $315,000 of joint income. What if I have student loans? And what about medical expense deductions? The new tax bill keeps the current deductions for student loan interest. Additionally, the tuition waivers that are received by graduate students will remain tax free. If you have expensive medical bills, this portion of the bill could be beneficial to you. The legislation allows taxpayers to deduct medical expenses that exceed 7.5 percent their adjusted gross income. Fox News’ Madeline Farber, Sam Chamberlain and Kaitlyn Schallhorn contributed to this report.